Roberts Revival iStream review | What Hi-Fi? As the Revival name suggests, this is one of Roberts' retro models. It draws on the styling of the company's 1950s radios, complete with a large grille, soft touch wrap and carrying handle, and chrome detailing extending to the clip holding the full-width back panel. 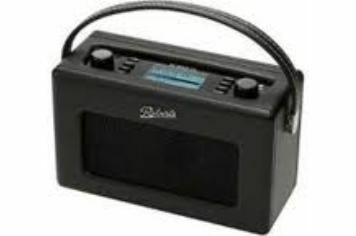 Open this and you can load the radio with four D-size batteries for portability, supplementing the mains supply provided. On the top panel you get a decent display, pushbuttons – there's a dedicated one for Last.fm, for which a one month trial subscription voucher is provided – and volume/selection knobs. Also up there are a couple of Royal Warrants, headphone out and line-in on 3.5mm sockets, and a USB socket for memory-stick media, while on the back is another 3.5mm socket for line output. The display, while monochrome, is clear and easily read from above. The Roberts is nicely finished and also sounds excellent, with the single driver having port tuning and endowing music and speech with decent weight, detail and openness. Yes, there's something slightly plummy and retro about the sound as well as the looks, but it's a long way from the lightweight feel and flimsier audio of the other Roberts radios we've seen recently.